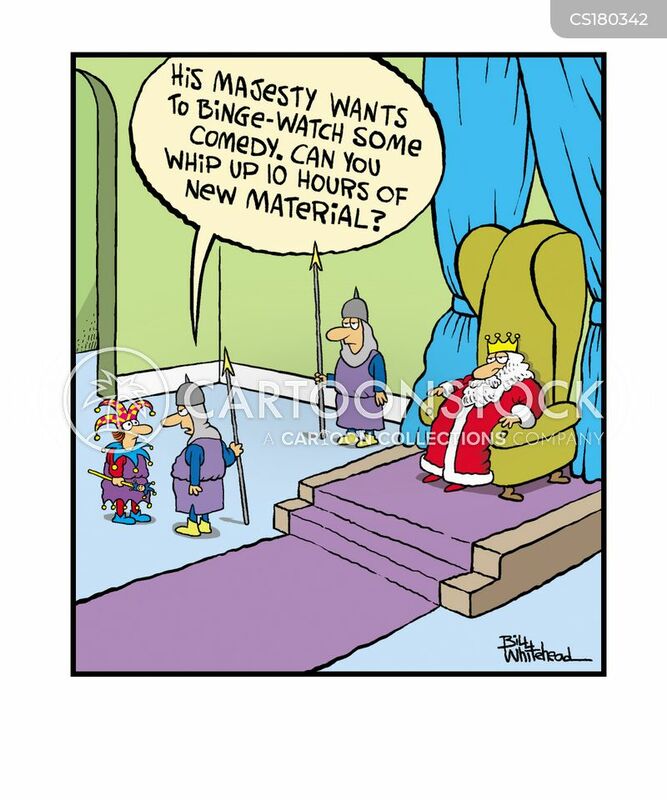 "His majesty wants to binge-watch some comedy. Can you whip up 10 hours of new material?" 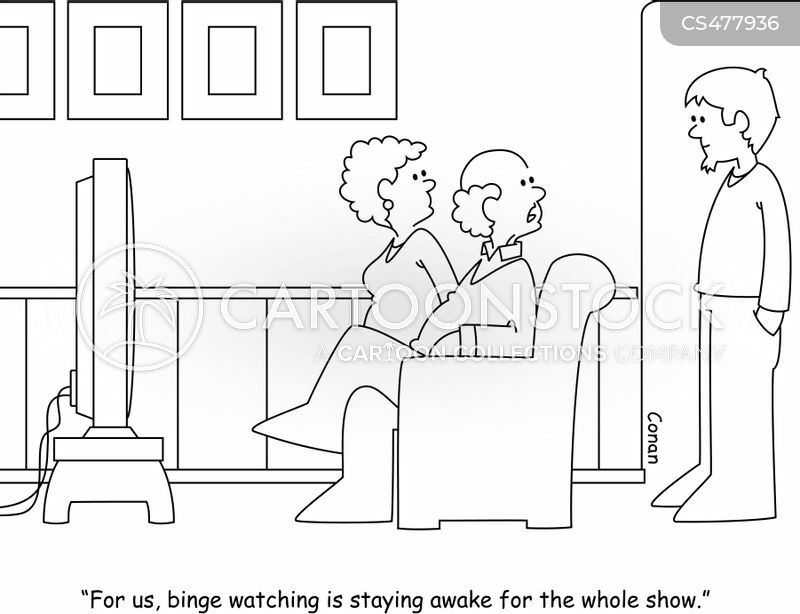 "For us, binge watching is staying awake for the whole show." "He's been binge watching TV shows. 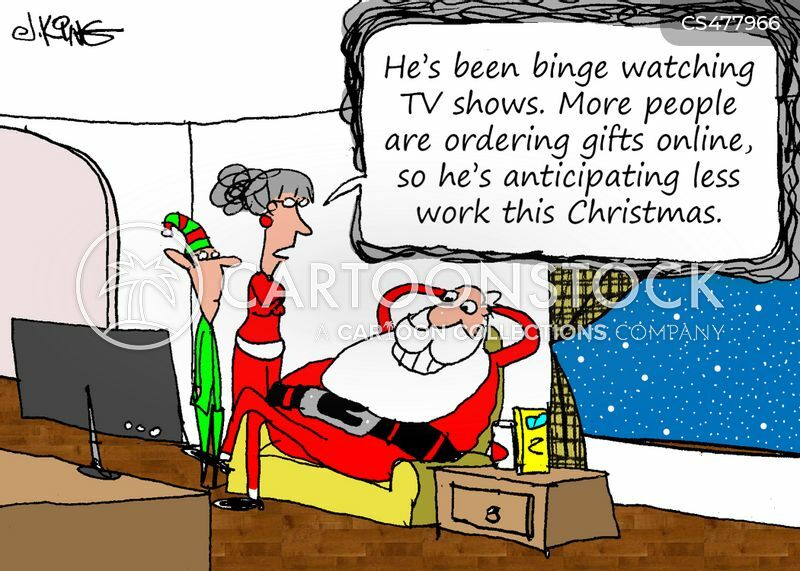 More people are ordering gifts online, so he's anticipating less work this Christmas."